BAT - BLOG : BATMAN TOYS and COLLECTIBLES: ARGENTINA NEWS: #BATMAN SAVES THE DAY! 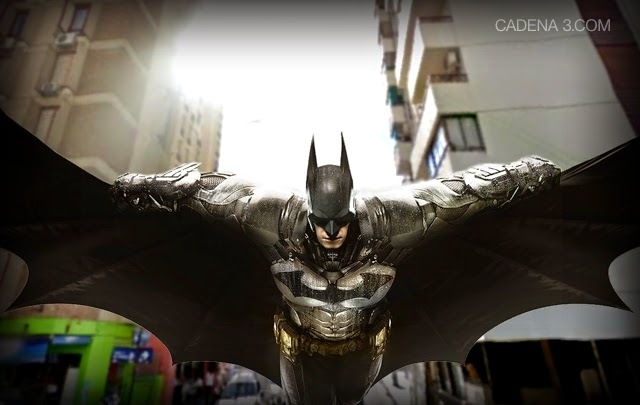 ARGENTINA NEWS: #BATMAN SAVES THE DAY! Here's a super great "Batman" story that is getting a lot of hype in Córdoba, Argentina. On Wednesday, October 29th, at noon, a man dressed in black witnessed a crime where some thief tried to steal a woman's purse in the middle of downtown. So, this guy jumped from a first-floor balcony to grab the criminal! Witnesses at the scene yelled, "Empeso Batman, Empeso Batman!". A Police Officer, who happened to be near there, arrived and that scumbag was arrested! The story is getting a ton of attention in the local news media there. The TV News and Radio Stations are calling this guy "Batman" and we could not be more proud. Thank you Gabriel for sharing this wonderful story with us. I love Argentina!